Prabhas and Rana Dagubatti starrer Baahubali 2 (Hindi) has entered in its 5th week at the box office. Despite new releases, the magnum opus has managed to hold well at the domestic market. The film raked in around 1.75 crores yesterday and now stands with the grand total of 492 crores. Baahubali 2 (Hindi) is all set to cross the 500 crore mark in its 5th week at the box office. The film has already crossed 1000 crore in all versions at the domestic market. Coming to its worldwide collections, Baahubali 2: The Conclusion stands around 1612 crores. This Will Be Akshaye Khanna’s Finest Performance: Mom Producer Boney Kapoor! Baahubali: The Beginning ended with Kattappa revealing himself as the killer of Amarendra Baahubali. Baahubali 2: The Conclusion takes the story forward from where the first part ended. Talking about the golden run of “Baahubali 2” at the ticket window, Rajamouli said he is still “in a state of daze”. “I’m going to be honest and tell you that we wanted this kind of success. We strove hard and longed for it. When we achieved it, it’s so hard to believe that I still cannot come to terms with this overwhelming feeling. It’s tough to believe if this success is even real,” he said. “We created the world of ‘Baahubali’ for our actors to understand their character better. When we look at Baahubali and Bhallaladeva, the warring brothers, what we see in the film is just a minor part of their lives. 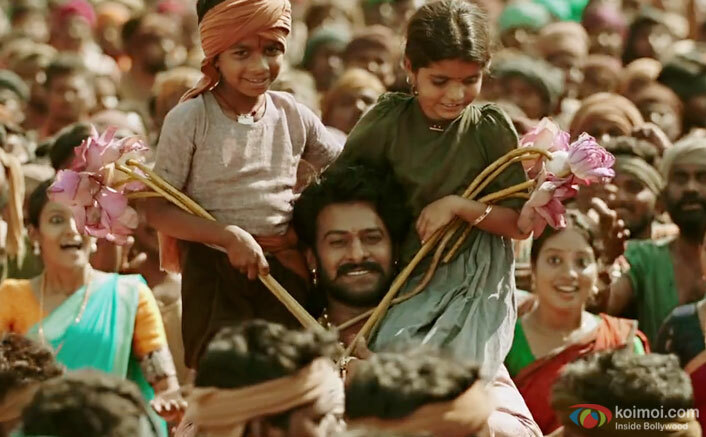 In the ‘Baahubali’ universe, there is so much more worth knowing about them. The same applies to other characters too,” says Rajamouli. Baahubali 2 (Hindi) also stars Anushka Shetty, Ramya Krishnan, Sathyaraj, Nassar and Tamannaah Bhatia in key roles. The post Baahubali 2 (Hindi): 5th Friday Box Office Collections appeared first on Koimoi. Aksha Pardasany at Salim Movie Audio Release Function. Puvisha Manoharan at Sillunu Oru Payanam Movie Audio Release Function.